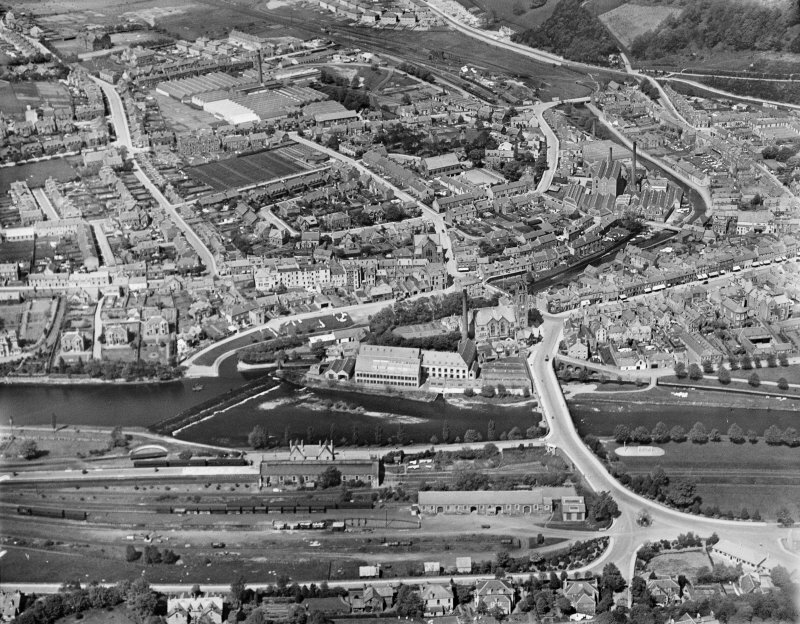 Peebles, general view, showing Tweed Bridge, Weir and Eddlestone Water. Oblique aerial photograph taken facing north. Not to be confused with Tree Bridge (NT 2518 4054), for which see NT24SE 13. (NT 2504 4044) The bridge...connecting the west end of the High Street with the foot of the Old Town, was probably first built in the fifteenth century. We read of its being repaired in 1495. In 1815 it was found to be in a very decayed condition. This is the first recorded occasion in which the bridge is called 'Cuddy Bridge', the name by which it is now known. In 1857 the old bridge was pulled down and the present bridge was erected. NT 2504 4044. No remains of the old bridge exist. The present bridge has a single span. Visited by OS (SFS) 19 September 1974. 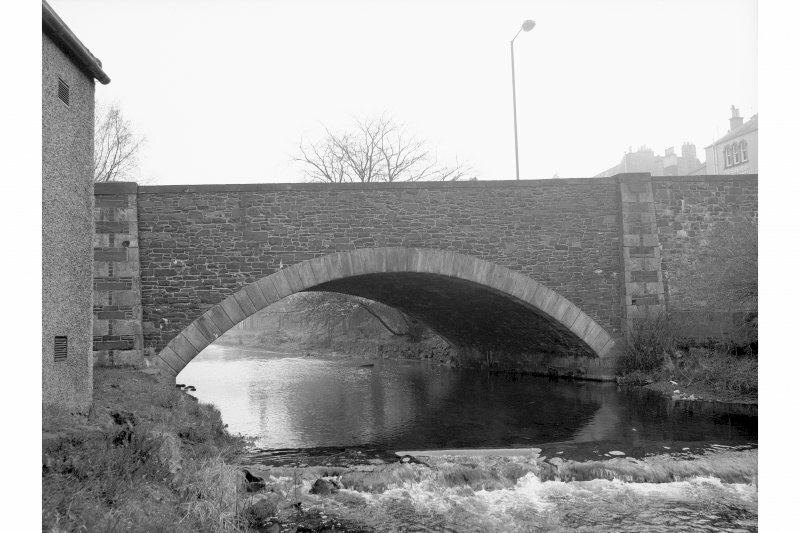 This bridge carries the B7062 public road over the Eddleston (or Eddlestone) Water to the W of the centre of Peebles (NT24SE 49). It thus connects the old and new parts of the town. Information from RCAHMS (RJCM), 26 January 2006.